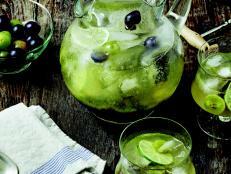 Quench your thirst with punches, pops and other beverages made with ingredients from your garden. 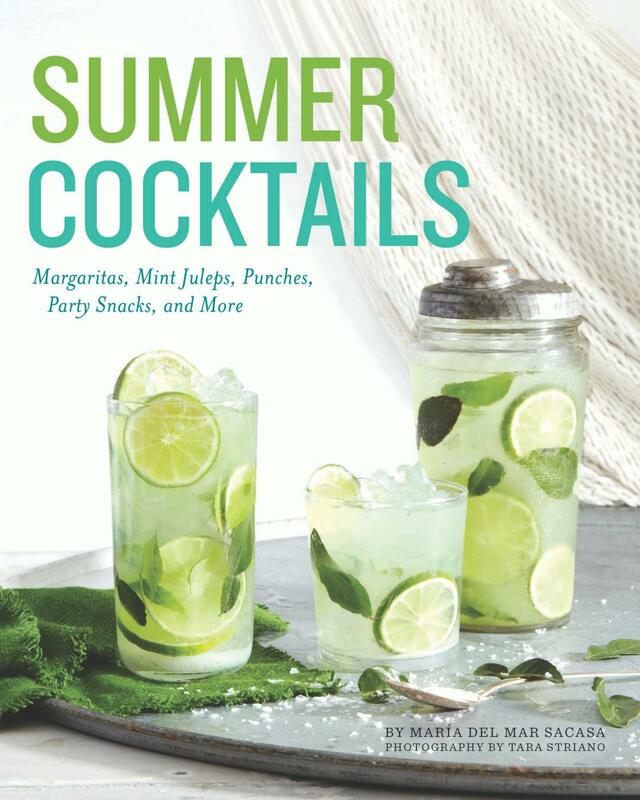 Summer Cocktails, by Maria del Mar Sacasa, with photography by Tara Striano, features over 100 seasonal recipes for classic cocktails, punches, snacks and more. Whether you’ve just come in from pulling weeds in the garden, or you’re lounging on the beach, slathered in sunscreen, summer weather calls for something cool to drink. Food stylist and author Maria del Mar Sacasa’s book, Summer Cocktails: Margaritas, Mint Juleps, Punches, Party Snacks, and More (Quirk Books, with photography by Tara Striano), offers over 100 refreshing recipes to quench your thirst. While most of the ingredients are easy to find, gardeners can tap their own backyards for many of the homegrown herbs, vegetables or fruits they'll need to whip up these tasty concoctions. Before you start harvesting, del Mar Sacasa suggests stocking your bar with a variety of amarettos, bitters, vodkas, wines and other alcoholic libations. Don’t be too shy to ask for samples at a bar or liquors store, she recommends; you may discover palate-pleasing spirits you’ve never tried before. For the beverages, you may find yourself snipping sprigs of lavender, rosemary, cilantro or thyme, or picking jalapeno peppers, blueberries, cucumbers, and watermelons. If you’re lucky enough to grow them, you'll also find uses for fresh lemons, cherries and limes in these pages. Helpful photos show you how to prepare citrusy-scented lemongrass for pina coladas and a Basilica, a lemonade made with fresh basil. There are also a few illustrations on shucking oysters, slicing pineapples and packing jars when pickling, so you can make edibles to go with your drinks. Some of the recipes in the book are classics, like Bloody Marys, Mint Juleps and Mimosas, while others are fun and unexpected. A Michelada, for example, is a twist on a Mexican drink that combines Worcestershire sauce, lime juice and hot sauce. del Mar Sacasa explains how to make a variation that omits some of these condiments. Prefer something more potent? She adds mint, cilantro, Clamato and Serrano pepper-infused tequila to the mix, and suggests downing it with fresh oysters. Even teetotalers will find something to enjoy in these pages. There are recipes for a raspberry and chocolate ice cream shake, a soda-based Shirley Temple, and an iced coffee that can be prepared with or without Bailey’s Irish Cream or Kahlua. Shrubs, or "drinking vinegars", were popular in colonial America, where the beverages were once used to help preserve fruits. 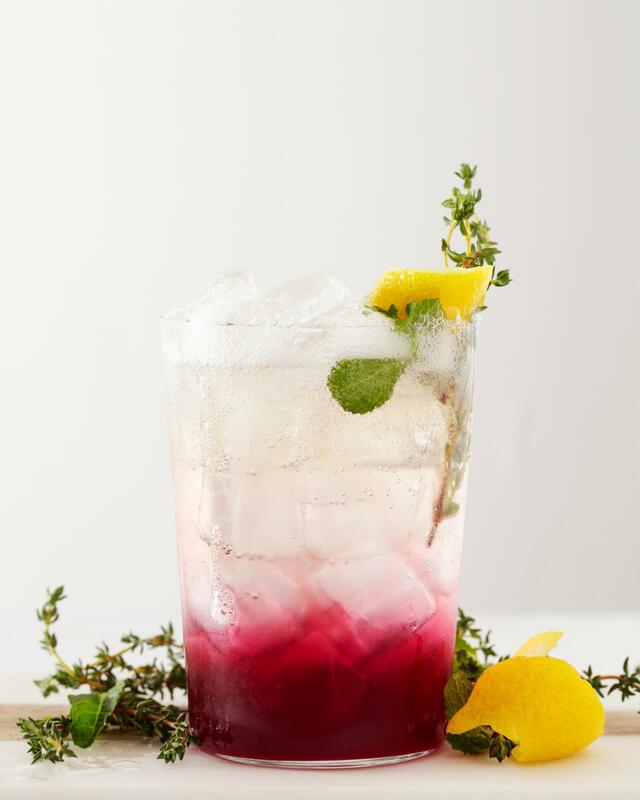 This Beet Ginger Shrub is icy-cold and colorful. 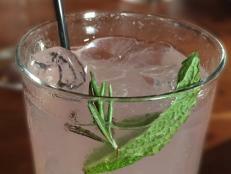 Maria del Mar Sacasa's refreshing Beet Ginger Shrub recipe was created exclusively for HGTV readers. "Shrubs are fruit-flavored sweetened vinegars that originated in colonial America as a method of preservation," del Mar Sacasa says. 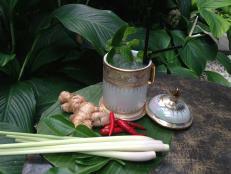 "They’ve had a resurgence in the more recent past, particularly in the cocktail world. The combination possibilities are practically endless: you can mix and match vinegars (from champagne to apple cider) with fruits, and for extra flavor, herbs. Stir them into basic cocktails like gin-and-tonics for a unique twist or pour them, like in the following tart and tangy drink, into some bubbly." In a quart-sized container with a lid, combine the sugar, vinegar and ginger. Cover container and shake to combine. Add the beets and mint, ensuring that everything is submerged. Add more vinegar if needed. Cover the container and let stand for 2 days in a cool, dry place, shaking every 6 to 8 hours to redistribute the ingredients. Strain the shrub and discard the solids. 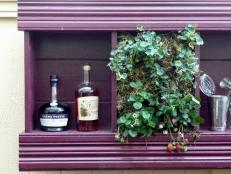 The shrub will keep for up to 3 months in the refrigerator. Fill a highball or other glass with ice. 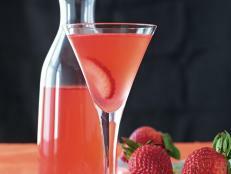 Add 3 to 4 tablespoons shrub and top with prosecco or champagne. 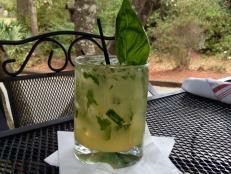 Garnish with fresh thyme and mint, if desired. 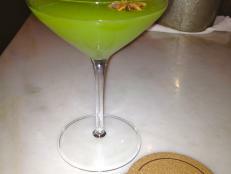 This herb, watermelon and rhubarb-infused cocktail is a tribute to the zombie TV sensation "The Walking Dead." 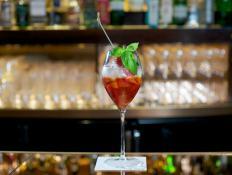 Strawberries and basil translate to a garden-fresh sensation in this sophisticated cocktail. 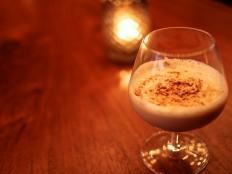 Eggnog from scratch is easier than you think. 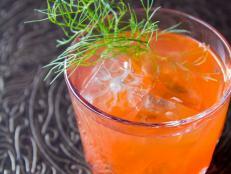 Charleston's Lee brothers offer up a Southern spin on a classic Spanish libation. Toast St. Patrick with goodies from the garden like basil and cucumber.